January 12, 2016 /1 Comment/in Singing /by Suzy S.
2015 was a stellar year for lots of talented and famous singers. It seemed like you couldn’t go anywhere without hearing about Taylor Swift and Adele, just to name two that stand out. Singers like those two generated a lot of buzz, and who wouldn’t want that? As we dive into 2016, it’s a great time to reflect on your goals as a singer. Do you want to be a famous singer someday? Do you want to start small, and overcome your stage fright? Do you want to learn how to write a song? Whatever your goals may be, there’s a lot you can learn from the big artists of the past year. Here are some ways you can incorporate their major successes into your own New Year’s singer resolutions! If you want to become a well-known singer within the music industry, your work is never done. Once you get yourself out there, you need to keep yourself out there! On a smaller scale, you could ask another singer to be your duet partner for karaoke, or perhaps get a small group of singers together and put together a cabaret night! It’s tempting to say “yes” to everything, especially when you are just starting out. It’s great to be passionate about singing, but remember you’re human! You only get one voice, so be careful with it. Just look at Adele, the hottest artist of the year: she underwent major vocal surgery a few years ago, yet didn’t jump back into performing right away because she wanted to take her time healing. Not only that— she has also become a proud mom and wanted to put family first! Make it a goal to have balance in your life. Feeling worn out after a run of another musical, even though there’s another one holding auditions for vocalists next week? Ask yourself if you need a break, and really listen to your body. You may have heard the advice “you gotta have a gimmick!” That’s originally from the musical “Gypsy”, and it’s often true! Being a talented singer is one thing, but what makes you interesting to your audience? Singers need to be savvy about marketing themselves. Taylor Swift happens to be brilliant at this. We should all look to her as an expert on a variety of things! She has revamped her image completely (country to pop! ), she’s always out and about with her huge fan base, and how about that “squad” of hers? Ok, so a lot of that’s pretty hard to do if you’re… well… not Taylor. But here’s what you CAN do: get out there in your community! Offer to sing at fundraisers, nursing homes, and so on. Show that you’re a singer with character who cares about a few causes. And yes, why not build up a “squad” of your own? Make this squad filled with trusted accompanists, like voice teachers, dancers, and other singers. Connecting with a group of like-minded artists is essential for your growth! YouTube is where today’s singer hopes to be noticed. But you’ll want to have a strategy in mind. Are your videos high quality? Are you posting good content? How often? What are you doing to promote your music videos? How about your audience — what are you doing to grow them? Are you cross-promoting across other social media channels, like Twitter and Instagram? These are the important questions to ask. To get inspired, take a look at the success story of Tori Kelly! She was eliminated from American Idol, but took matters into her own hands and built up a huge YouTube following. Shawn Mendes, another great artist to learn from, got his start on Vine and now has a top 10 hit and a recording contract. Of course, you’re not restricted to finding an audience online, or with one of those platforms specifically. The key is to keep plugging away— in any medium! Whether it’s YouTube or a local coffee shop, keep giving your best to your audience. Now… put your learning into practice! No matter what your resolution is as a singer, remember to bring your best vocally every time. Look at what other successful and famous singers are doing, and find what you can learn from them. 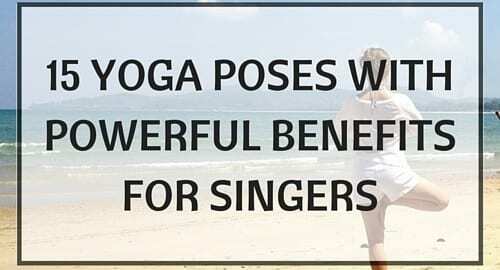 Working with a great voice teacher is also key — he or she can help you become a better singer, and may even have insider advice or a network to connect you with. It really is a magical moment when you first pick up a guitar. The feel of the wood, the tension on the strings, the way the curve of the body fits just right on your lap. You’re filled with visions of yourself on stage playing for thousands who worship your every note. The problem is the next moment isn’t quite so magical. You try to play a chord, but the only sounds are dull thuds and ceaseless buzzing. Your clumsy fingers just can’t figure out how to coax music out of this cursed piece of wood. There are 35 muscles that control your fingers! And you’re going to need each one of those to make your guitar strings hum just how you hear them in your head. So when you practice, especially in the beginning, remember to warm up and stretch (here’s a great video) so you don’t hurt yourself. And keep in mind that after a long session you might have sore hands and forearms. Just like anything else, practicing your guitar can get extremely monotonous. After a hundred times practicing that new scale or picking pattern and still needing more work, it’s really easy to give up and play something easier. But to get better you really have to hunker down and put in the hours necessary (in fact they say you need to practice something for 10,000 hours before you master it!). You’ve been practicing every day and really making progress towards your goals, but one day during a particularly intense session you break a string (or input jack, or neck…). The problem is you don’t know how to fix it, and so your guitar sits and collects dust and all your skills melt away. It’s a common story, one that happens far too often. Learning some simple maintenance like changing strings, cleaning the neck and a bit of basic wiring can go a long way towards preventing lapses in your practice because of something as simple as a busted string. I’ll be the first to admit that I’m addicted to my phone. If I’m away from it for just a few minutes I start to get jittery and extremely curious about my friends’ Facebook walls. But too many distractions will keep you from getting productive practice time in. This might mean getting a dedicated guitar tuner instead of an app so you don’t even need your phone in the room with you. Hopefully you can spend the next hour learning guitar and not looking at cute cat videos. Now you’ve been doing scales for hours, and despite getting rid of obvious distractions, you’re still having trouble focusing. Maybe you need a break. You need to be able to put the work in, but if you’re getting too stressed it will also hurt your practice (and make your fingers too tense- which is not a good thing). Every once in a while, take a few minutes to play a fun easy song or watch that silly cat video you’ve been putting off. Maybe even a quick power nap. There’s a lot more to learning guitar than just these, but I hope that these tips can help you along your musical journey. Happy pickin’! Get personalized tips and tricks for learning guitar by taking private lessons with a guitar teacher. Guitar teachers are available to work with you online via Skype or in-person depending on locations and availability. Search for your guitar teacher now! Ryan B. teaches guitar, banjo, and mandolin in Chicago, IL. A graduate of the University of Illinois, he can teach his students music theory, and as a member of a traveling local band, he can also help with songwriting! Learn more about Ryan here! Find an A to listen to, and then compare and adjust your A string to match. There are several different ways to obtain a pitch. For example, if you’re playing with other string musicians ask them to play you an A, or if you have a nearby piano that’s in tune use that. If you don’t like either of those options, you can use an electronic tuner (often combined with a metronome) to provide the standard 440 A. There are also apps and online tuners that will tell you if you’re sharp, flat, or in tune. While these can be useful, be careful not to become too dependent on them. As a trained musician, you should be able to tell on your own whether your instrument is too high or too low based on a given pitch. If you really want to train your ear, make it a habit to listen for the A and match it using your ear. If an electric tuner is your only option, I would recommend using it only for the A string, and then use your A string to help you tune your other strings. Using the electric tuner to check yourself after you’ve given it a go on your own can help you reinforce or adjust your ear. You may want to consider investing in a tuning fork, which requires less space than an electronic tuner and doesn’t require batteries. Tuning forks are made to vibrate at 440 Hz, or the perfect A. To see if you’re properly in tune, play your violin’s A while ringing the tuning fork. If your violin is out of tune, you’ll hear a distinct difference between the note you’re playing and the note played by the tuning fork. If you’re around young people, you’ll quickly become very popular after they see the tool’s usefulness. All you have to do is strike it on a table and touch the base to the body of your violin, and they’ll be fascinated when they hear the perfectly in tune 440 A. Many of them will want to try it out themselves, and it will most likely become their new favorite toy (and even disappear!) if you aren’t careful. Amazon carries quite a few tuning forks ranging from about $4 to $14 plus shipping. When you’re finished tuning your A string, tune your E string next, followed by the D and G strings. For the E and D strings, use the A string as a reference point to hear whether your other strings are in tune. When done right, you should be able to hear the chord “click.” If one string is too high or too low, the sound will be slightly dissonant, not smooth. For strings that are too close in pitch, they will tend toward an augmented fourth (also known as a tritone), which is one of the most (if not the most) dissonant chords out there. If you can’t quite tell at first if they’re in tune, or if you can’t tell whether the string you’re tuning is too high or too low, try playing the notes separately, and then return to playing the chord. When you reach the G string, use the D string as a reference point. As you tune, use your pegs only if your strings are more than about one-fourth to one-half a step off, your fine tuners need to be adjusted, or your violin doesn’t have fine tuners. If the string only needs to be adjusted a little bit, use the fine tuners instead. The smaller the instrument, the larger the impact the tuners will have, since they’re pulling back or releasing a larger percentage of the (relatively smaller) string. If the instrument has no fine tuners, sometimes you can adjust the pitch a small amount by slightly tugging on the string and then releasing it, or by pushing on the string in the string box area in the scroll. If your instrument is exposed to humidity or temperatures to which it isn’t accustomed, be prepared for it to go out of tune. To prevent this from happening, place less stress on your violin by keeping it in a place where changes in temperature, pressure, and humidity will be minimized. The same applies to when you replace your violin strings. Violin strings need to be replaced from time to time; the new strings will change at the beginning as they stretch out in response to the pressure exerted upon them. As you become more accustomed to tuning your instrument, be open to adapting to groups that use non-standard tuning. A cellist with whom I sometimes play commonly uses 432 Hz as her standard A, since it was often used prior to modern times. It sounds about a half-step lower than a 440 A. I tune down my instrument to match hers when I play chamber music with her, and re-tune it when I go back to play with my own orchestra. Some professional orchestras tune slightly high – between 441 and 445 Hz – to help the string instruments sound brighter. Need extra practice? Follow along with the video below! Violin tuning is both a skill and a way to train your ear to hear both chords and small differences in pitch. At first, learning how to tune your violin can be difficult. With constant repetition, however, it will become a natural process – and you may even end up with some useful tips of your own! If you’re looking for some additional violin tuning tips, ask your violin teacher to give you some expert insight into the practices he or she uses. April 17, 2015 /1 Comment/in French, TakeLessons Teachers /by Megan L.
Try reading the following French words aloud: tarte, partons, portions, democratie, septieme, mangeaient, amitie, and vert. Do you pronounce all the T’s in the same way? Do you pronounce them at all? There are no simple answers, and you will run into many questions about the letter T as you practice proper French pronunciation. There are many different rules that govern whether you hear a T sound, an S sound, or nothing at all. And as with many other things in the French language, there are always exceptions to those rules. First of all, the French pronounce the letter T slightly differently than English-speakers do. In French, your tongue rests against the tip of your upper front teeth, whereas in English your tongue stays behind your teeth. This tongue position results in a softer and smoother T in French. Always pronounce T when it comes at the beginning of a word. You will also always pronounce double-T’s. Th- is pronounced just like T because the H is silent. T is also pronounced when it is at the end of a word and followed by E.
In many nouns and adjectives, words ending with -te denote the feminine form. However, as always, there are exceptions to the ti- rule. When ti- is followed by a vowel but preceded by S, you will pronounce the letter T.
You also pronounce T in all forms of verbs ending in -tions and -tiez. T is pronounced in all forms of verbs and nouns derived from the verb tenir, even the forms in which ti- is followed by another vowel. T is also pronounced in ordinal adjectives ending in -tieme. And in feminine past participles of verbs ending in -tir. Pronounce your T’s in nouns and adjectives ending in -tiers or -tiere. When an adjective ending in T precedes a noun that starts with a vowel, the T will be pronounced, joining the two words together. T is also pronounced when a word starting with a vowel follows est. Third person verbs, singular or plural, ending in T link with the following word starting with a vowel. When is T Silent or, as the French Say, Muet? When T is the last letter of a word, it is silent. The T in et is always silent. Never make a liaison with et. Elle est bavarde et impolie. When a verb ends in -ent, the -ent is not pronounced. When a verb ends in -ait or -aient, the T remains silent. When a word ends in -at, the T is silent. With so many rules and exceptions it seems a daunting task to learn French pronunciation, but it is not so. You can get used to the correct pronunciation by studying with a qualified teacher and practicing every day. Listen to as much spoken French as you can, keep working hard, and someday those tricky T’s will come naturally to you! Master French pronunciation with the help of a private tutor. Tutors are available to work with you online via Skype or in-person depending on locations and availability. Search for your French tutor now! Annie A. is a French instructor whose lessons are conducted exclusively online. Teaching for the past 12 years, she found her passion for the language while studying in Paris as a teenager. Learn more about Annie here! The subject pronouns used in German are the same as the singular ones used in English; for example, I (ich), you (du), he (er), she (sie), it (es). In addition, there are also three plural subjects: we (wir), you (ihr), and they (sie). It’s important to note that in German there’s one formal subject for you (Sie) which takes on its own verb ending that is different from the informal singular or informal plural “you” subjects. When the pronoun changes, the verb ending changes too. For example, if you want to say “I play guitar,” you take the I pronoun (ich) + the verb stem (spiel) + the correct verb ending used with the ich pronoun (e), put it all together for an easy conjugation formula: Ich spiele Gitarre. We can master this part of German grammar with some practice changing verb endings. First, follow the sample exercise below in which we take the verb stem and add the boldface ending for each subject pronoun. After you’ve reviewed the sample, try changing the endings on your own with the verbs below. Now that you’ve mastered changing verb endings according to their subject pronoun, use your new skill to easily make a question. Making a question using conjugated verbs is as easy as switching the subject and the verb. See the example below for reference. After: “Trinkt er Cola?” (Is he drinking cola?). Want to add even more detail to your sentences? German natives will be delighted to hear you speak their language confidently and correctly, so let’s make sure you add details in the right spot. In the sample exercise below, we’re stating that the flowers are beautiful. If we want to add even more detail, we can easily insert an expressions of time ( i.e. springtime). The words contained in parentheses are an expression of time. Add the time expression from the parentheses after the verb and before the noun to complete the sentence. After: Die Blumen sind im Frühling besonders schön. Mastering these German grammar exercises can be difficult, but with consistent practice you can greatly improve your skills. If you need some help perfecting your grammar skills, you might want to consider taking private German lessons with an expert teacher who can give you the one-on-one attention you need to successfully navigate through the German language. Every child loves a game of old-fashion Simon Says, or in this case, Simon Sagt. Not only will this classic game keep your child engaged, but it will also help him or her practice common German commands. Before you begin the game, review the eight basic German commands seen below. Note: If you don’t have a blackboard or whiteboard, simply substitute another household item. Once your child has taken some time to get familiar with the commands, you’re ready to play! As the adult, you’ll take on the role of Simon and issue commands to your child (for example: Simon sagt Stehen Sie auf). To make things interesting, try keeping score! Now comes the fun part… Place the photos in front of the student where they are visible and read one description at a time out loud. Next, have the student point to the appropriate photo in which the description best describes. If your child is at an intermediate level, try setting a time limit for them to answer. Once your child has these adverbs down pat, show him or her pictures of various categories like video games, foods, perfume, bicycles, etc. and have them rate their preferences using one of the words listed above. Then, ask him or her to say the completed statement out loud to ensure proper pronunciation. German for kids isn’t easy. If your child is struggling to stay engaged, try working with an experienced German teacher who has the tools to make learning fun and easy. Taking live, online violin lessons can provide a lot of flexibility absent in face-to-face lessons. Neither you nor your teacher needs travel to meet the other, making scheduling easier and more convenient. Live online lessons, however, are a bit different from face-to-face lessons as there are several moving parts. Therefore, it’s important to be sure you’re prepared. Here are a few things to test before your lesson begins. Make sure you have a strong Internet connection and that you can log in to your preferred communication platform, whether that be Skype, Google+ or something different you and your teacher have chosen. If you’ve never used the platform before or you haven’t used it in quite some time, don’t count on just hopping on five minutes before your lesson begins. Remember Murphy’s Law: Anything that can go wrong, will go wrong. That being said, log in to the platform 15-30 minutes before your lessons begins to make sure everything is running smoothly. Check your camera connection and, more importantly, how you’ll appear on the screen. Your teacher will need to see you from the waist up to ensure you have the right posture. He or she will also want to examine how you’re holding the violin, so be sure that the entire instrument fits comfortably within the horizontal parameters of the screen. If you’re a beginner and aren’t quite sure how to hold your violin, you might try reaching your hand out to the left while in view of the camera. If the camera can see your face and your left hand at the same time, you should be fine. In addition to making sure you’re positioned right, you must find a space that has minimal disturbances ( if any) and you’re comfortable in. The audio element is just as important as the visual element. Before your lessons begins, check the audio quality. This is especially important if you haven’t used the platform before or if you haven’t used it to record yourself. It’s a good idea to set up a chat with a friend or family member beforehand to see if he or she can hear you talk or play your violin clearly. While you’re at it, make sure you can also hear them! Make sure you are on top of any additional equipment you need. Are you a beginner? Have a violin that fits as best you can estimate, but for young students especially, be ready for feedback from your teacher if necessary. Have rosin for your bow and a pad or chin rest for your violin (according to your teacher’s recommendations and your preferences). If you have a pad or sponge instead of a chin rest, make sure you have a way to attach it. A large rubber band usually works fairly well. A fold-up portable stand may also be useful, along with any books and CDs your teacher recommends. If you haven’t used your stand before, figure out how to set it up well before lesson day. Once you are set up and ready to go, relax and have fun. Like many things in life, learning the violin is about the journey as much as it is about the destination. If you can enjoy the ride, you may coast further ahead than you would otherwise. Be prepared for obstacles; you and your teacher may find certain elements of your online violin lessons need further adjustment. If you can start successfully, however, those difficulties will be easier to negotiate. April 14, 2015 /0 Comments/in Guitar, TakeLessons Teachers /by Megan L.
Why are metal guitars so easy to play? The simple truth is metal has been around a long time, since way back in the 1960’s, and technology has kept pace with musician’s demands. Read on, and we shall see how knowing what to look for in a guitar makes or breaks your crunch lead! These guitars are perhaps the holy grail of metal masters. They are completely modern in design features. By focusing on killer design and affordable custom options, Schecter Guitars from the San Fernando Valley in Van Nuys, California knew when to listen to young musicians carefully and knew what to create to lead the way into a new era. It’s hard to find a cooler, high-end guitar aimed so specifically at the metal genre. Even though they started out by copying manufacturers like Fender, they didn’t take long to move on and create original designs for pickups, body shapes and wiring, and custom paint with a very high standard for attention to detail. Rating: 10 out of 10 Stars. Very Bad! This maker is another great innovator from the valley, and truly one of the best guitars for metal. Fernandes created the ground breaking sustainer pickup for guitar in the 1990’s. It holds notes forever at the flick of a switch or footpedal. As we all know, sustain of notes is an important part of the metal guitar sound. Just ask for their Vortex Model for metal. He builds guitars that look cool, play well, and have a fast neck. Need I say more? Even used, these guitars are highly sought after. Rating: 9 out of 10 Stars. Super Bad! Some folks don’t know about this one. The Fender Custom Shop in Corona, California will make virtually anything you want – within reason that is, and there are a few metalheads working there. Adding twin blade and custom humbucking pickups by Seymour Duncan or Fender paved the way. Just strike up a convo by asking them about the guitars they like and their tattoos. Surprisingly, they will even answer the phone themselves and are very helpful. Your dream guitar awaits, and dang, it feels so good. Rating: 8 out 10 Stars. Cool Bad! Now here is a company, also from the valley, that almost went under when Kurt Cobain made his “Jagstang” hybrid Fender guitar the cool guitar to own in the 1990’s. Suddenly sales went to nothing. So, Jackson Guitars went on vacation and returned as a custom shop and were revived in the early 2000’s with new ideas and a new love of music and musicians. Metalheads who think Randy Rhoads is the guitar player to follow buy these guitars. The Jackson RR III Randy Rhoads “Sharktooth” Model is back in demand. And the pickups just scream. Rating: 8 out of 10 Stars. Awesome Bad! Normally I would not think of Gibson as a metal machine maker. But Zakk Wylde of Ozzy Osbourne’s band has proven metal can reign supreme on his custom signature bullseye design pop art Les Paul. These guitars are slightly pricey, but you get a sleek neck, custom Zakk Wylde pickups, Floyd Rose trem, and more. Everything about this guitar is designed to withstand a brutal assault on your worldwide tour and come back for more. Rating: 8 out of 10 Stars. Serious Bad! A guitar that is EVH can handle anything. It is Eddie’s guitar of choice; for the last two years it is all he plays on stage. It’s built to Eddie’s specs, a road warrior made for the metalheads around the globe. Comes with patented EVH Drop D-Tuna designed and invented by Ed himself for instant drop D tuning and instant return to regular tuning. If you love EVH “brown sounds”, this guitar is very high end with a reasonable price. It even has a NAMM Award for best value. You can’t do much better than this. Rating: 10 out of 10 Stars. Totally Killer Bad! When you’re choosing a new guitar, it all comes down to your own personal needs and what your ear tells you just sounds best. So have fun, and try them all before you buy. Happy rockin’! For more guitar tips and tricks, taking private lessons with a great guitar teacher is the way to go! Guitar teachers are available to work with you online via Skype or in-person depending on locations and availability. Search for your guitar teacher now! March 18, 2015 /0 Comments/in Spanish, TakeLessons Teachers /by Suzy S.
I have been teaching Spanish, Italian, and English for a number of years. I am Italian, which means that two of the three of the languages I teach are not my native one. I understand the challenges students encounter while learning a new language since I’ve been through them myself. In order to master a language and express our thoughts and emotions in an effective way, we need to start thinking in that language. This can be difficult to achieve, but with time, practice, and dedication, your thoughts will begin to originate in your new language. I think the most powerful tools we have when learning a new language is our memory and our capacity to imitate. In fact, a big part of my learning process through the years has been when I watch movies in Spanish and memorize the dialogue. Much like with music, memorizing movie dialogue can help you learn pronunciation without having to think about the translation. The practice is useful when training yourself to think in a new language. There are so many great opportunities out there to watch movies in Spanish! I am a big fan of the Spanish director Pedro Almodóvar. His movies are very interesting and the actors speak Spanish beautifully. These are a few of his greatest titles. A comedic drama, the film features ghosts, murder, and love as it details the relationships between three generations of women in Madrid. This emotional film follows a woman coping with her own personal tragedy as she makes new friends and reacquaints herself with an important character from her past. Many complicated paths cross in a confusing jumble as a woman seeks to discover the reason her lover chose to leave. I recommend movies from Mexico like Y Tu Mamá También or Amores Perros to hear Spanish being spoken in a non-Spanish accent. Chilean and Argentinean movies might be a little more challenging because the actors tend to speak quickly. I am a big fan of Ricardo Darín, an Argentinian actor. You may want to check him out if your Spanish is intermediate or advanced. I love El mismo amor, la misma lluvia, Son of the Bride, or Nine Queens. Watch movies with English subtitles if you are a beginner, and in the language you are learning if you are intermediate or advanced. This way you will be able to connect the words you’re hearing with the words you’re seeing on the screen. This will help you memorize new words and work on pronunciation. Using two of your senses at once tremendously increases your learning ability. Whenever you don’t understand a word, concept, or grammatical structure, pause the movie and look it up in your textbook or a Spanish dictionary. This will be more accurate than using an online translator and the act of looking for something helps you learn. I hope you enjoy these movies as much as I do! I promise that on top of having fun, your level of comfort while speaking Spanish will increase rapidly. Readers, do you like to watch movies in Spanish? What are your favorites? Let us know in the comments! Giulia M. teaches Spanish, Italian, singing, and guitar in Austin, TX and online. She is from Florence, Italy, and has been a tutor for the past 12 years. Learn more about Giulia here!